Dutch Police have arrested a 16-year-old boy on suspicion of involvement with the attacks of the MasterCard and Visa websites allegedly started by a group called Anonymous, who are sympathizers of WikiLeaks, reports the Wall Street Journal. Authorities arrested the teen in The Hague Wednesday night, saying he acknowledged being involved in the cyber war against the two credit card companies' websites, according to the Dutch prosecution office. Computers and Data-storage devices were also seized. The teenager, who authorities did not identify, remains in custody and is set to appear before a judge on Dec. 10. Police believe he is part of group of the group Anonymous -- so-called WikiLeaks allies behind denial-of-service attacks against commercial websites which have withdrawn services from WikiLeaks -- including Mastercard and Visa, which have refused to process payments to the site -- and the Swiss bank PostFinance, which froze WikiLeaks founder Julian Assange's account. The group calls their effort Operation Payback. Police are investigating the matter further, including the possibility of involvement by others in the Netherlands. WikiLeaks itself says it is not directly behind the attacks and will continue to release secret documents. 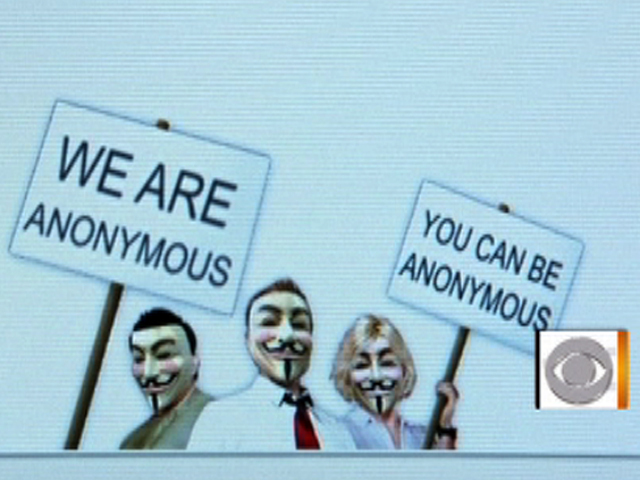 Its supporters, though, appear to have joined a cyber war they've vowed to continue and expand. According to the Wall Street Journal, on Thursday a 22-year-old man claiming to be a spokesman for the hackers vowed on British Broadcasting Corp. radio that the attacks would continue. "I see this as becoming a war, but not your conventional war--this is a war of data," said the man, identifying himself only as "ColdBlood." "We're trying to keep the Internet open and free for everyone."